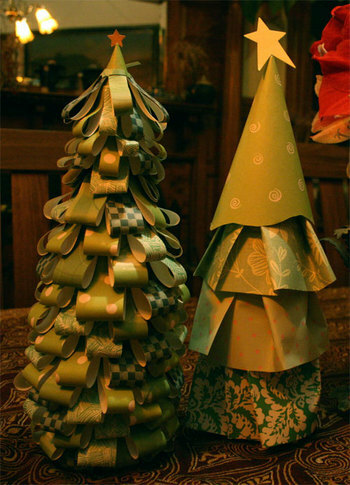 I wanted to share some Christmas crafts with you. These are the trees I made. They were made on top of Pelligrino bottles. The first one is simply layers and layers of loops of patterned paper. A great way to use up scraps, by the way! These are quilted stockings I made. Each stocking is unique. All of them include photos, beading of some kind, and lots of raw edge applique. Some of them are painted, others have quotes. Take a peek and let me know what you think. I'm slowly trying to gather or take photographs of some of my recent art work. Of course, the holidays are never a good time to get much of anything productive done. But, hopefully I'll have most of it together within the first week or two of 2007.